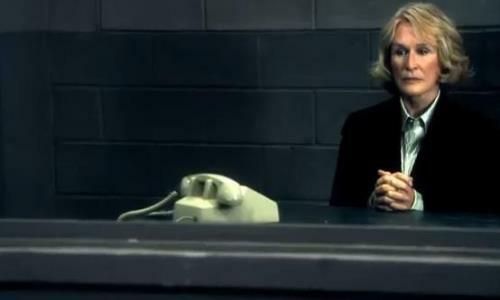 Glenn Close (Albert Nobbs) has her last showdown with Rose Byrne (Insidious) in Damages: The Final Season. The thriller TV show that debuted on FX got kudos from critics for being smart, engrossing and intense. Close’s lawyer Patty Hawes and Byrne’s protegee Ellen Parsons battled for three seasons on FX then moved to DirecTV for its last two runs. In the fifth and final season, Patty and Ellen fight it out in court as opposing lawyers in a wrongful death case against a charismatic international cyber hacker (Ryan Phillippe, The Lincoln Lawyer) and a custody battle pitting Patty against her own son. Guest stars in the fifth season include Jenna Elfman (Friends With Benefits), Michael Gaston (TV’s Last Resort), Janet McTeer (The Woman in Black), Judd Hirsch (Tower Heist) and John Hannah (The Words). PSA directed by Ron Howard for Bring Change 2 Mind, the organization founded by Glenn Close that works to end the stigma and discrimination against those with mental illness. Here’s the trailer for the fifth season of Damages.